Bill Clinton’s 1992 presidential campaign knew to focus on “the economy, stupid.” Hillary Clinton, the Democrat front-runner hoping to become America’s first female commander-in-chief in November, is ahead in early polls and at the bookies. But GDP and employment gains under President Barack Obama may not be enough to keep Republicans like Donald Trump, Ted Cruz or Marco Rubio at bay. The 1992 campaign unseated Republican George H.W. Bush partly by critiquing his economic record, which included a recession. Obama’s 2008 election run coincided with the financial crisis and another downturn under George W. Bush. The economy matters. This time around, Hillary Clinton is set to win the Democratic nomination over left-wing challenger Bernie Sanders, the senator from Vermont. She’s also better-than-even favorite to win the White House on online betting sites. 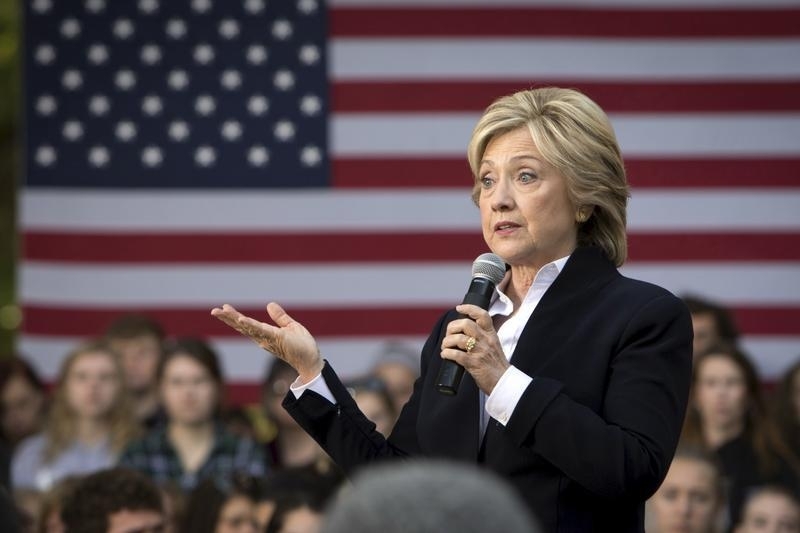 Polls, though unreliable at this stage, mostly show her winning against Republican rivals. But all presidential races are close. Clinton’s danger may be that Obama’s economic record is too tepid. Using a respected predictive model developed by Ray Fair, a Yale University economist, the pace of growth in U.S. GDP per capita would have to run above 4 percent for the first three quarters of 2016 for the Democrat to win 50 percent of the two-party vote. That would require an even higher overall growth figure, because the population is expanding. Current forecasts – the World Bank’s 2.8 percent for U.S. GDP growth in 2016, for example – fall well short. One related factor is that, despite the low 5 percent unemployment rate in November, half the post-crisis high during Obama’s first year in office, hourly wage growth is still muted at 2.3 percent year-on-year. Median household income in 2014 remained well below the 2007 peak, according to the Census Bureau – an economic statistic that’s close to home for voters. Fair’s model hands the incumbent party an automatic disadvantage when there’s no sitting president seeking re-election. That reflects history, but the sample is small and the bias questionable. Plus there’s time for wages to pick up: Moody’s Analytics, for instance, predicts 3 percent earnings growth in 2016. It’s possible that the Republican who emerges from the fractious Trump-dominated selection process will polarize voters along ideological lines that swamp economic factors. More likely, though, Hillary Clinton’s success will rest on improving home economics. U.S. Democratic presidential candidate Hillary Clinton in Cohoes, New York, April 4, 2016. Jobs and wages mean rate hikes are go! Real U.S. GDP increased at an annual rate of 2.1 percent in the third quarter of 2015, according to the second estimate released by the Bureau of Economic Analysis on Nov. 24. In the second quarter, real GDP increased at a 3.9 percent pace. The World Bank in June forecast growth in real U.S. GDP at 2.7 percent in 2015 and 2.8 percent in 2016. Ray Fair, a Yale University economist, has developed a model to predict U.S. election results based on economic inputs. Those inputs include real GDP per capita, the inflation rate and the number of high-growth quarters in the current term.